Every geek that has used a laptop on his lap for an extended period of time agrees on one thing: it’s not the best way to work, bordering on an almost uncomfortable level. However, in today’s society, with everyone on the move all the time – be it either in a car while traveling or in a bus – that’s the only way you can get some work done during a time otherwise wasted, so if you are going to do it anyway, at least let’s make the best we can out of it. 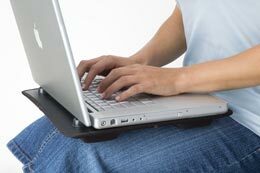 That’s where a good lapdesk can help: by keeping the heat off your body, and providing a sturdier surface for your laptop, you can get some serious work done with a lap desk in virtually anywhere where you can sit down . We are going to have a look at the most versatile lapdesks on the market, to see what’s available for those of us who are forced to keep using a laptop on our laps – and I bet there are quite a lot of people out there who might be interested in this subject. We tested a couple different laptop lapdesks, and the Lapinator proved to be our first option. Very efficient at blocking the heat, but in the same time extremely light and comfortable, the Lapinator is also one of the cheapest option available – and not in a bad way.It’s been built to fit easily in any laptop bag, so you can take it anywhere with you without carrying an additional bag. It has a padded bottom, to ensure your legs are protected from the heat coming off the laptop, and if that is not enough to improve the cooling breeze, there are to adhesive stickers on top that can slightly raise your laptop level just enough to make sure the warm air flows out. 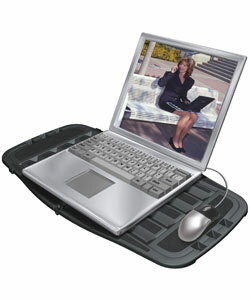 Another great lapdesk that we have tested and can wholeheartedly recommend is the Targus Notebook Portable Lap Desk. Virtually at the same price as the Lapinator, this lap desk though is nowhere near that good. Although is very light and easy to transport, being made of plastic, it lacks significantly in other compartments, such as heat protection or stability. After just 45 minutes of use, our body started to feel the heat coming from the laptop, and the stability of surface was not impressive enough for us to overlook this aspect. All in all, we would not recommend the Targus Lapdesk, as we were unable to find any redeeming qualities that would justify it price. Another strong candidate for the title of the best Lapdesk on the market is the LapWorks Laptop Desk 2.0. Priced at 30$, this is the only lapdesk on the market versatile enough to act as a laptop stand as well due to it’s sturdiness, but lacks the lightness advantage of the previous models. Everything about this model screams reliability: the rubberized surface makes it virtually impossible for your laptop to slip, and the grooves placed at the bottom make sure the heat is recirculated and cooled off, not causing any discomfort to the legs. 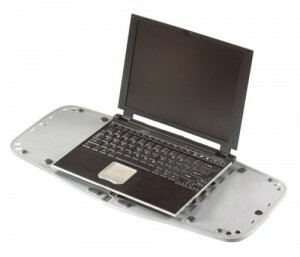 This particular lapdesk can be easily transformed into a lap stand as mentioned before, and it only takes one quick flip to do that. These are just 3 of the most popular lapdesks available on the market, but they should meet the any needs a potential user might have. No matter if lightness is the important feature for you or you are one of those who prefer a more sturdy surface to rest their laptops on, you can definitely choose one of the top models reviewed by us and make sure you made a quality purchase. About the author: Dexter is passionate about gadgets for laptops, laptop lap trays and virtually everything that would improve a geek’s life in general. 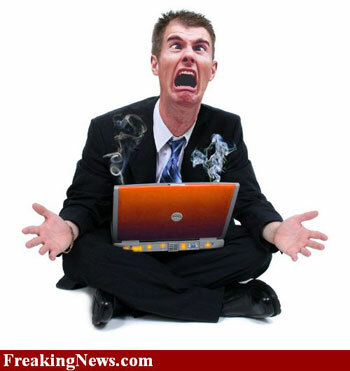 He is an avid follower of Entertainment Lair – a website where top home theater systems are reviewed.